It's November. 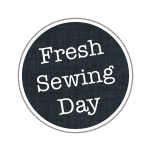 It's Fresh Sewing Day and it's Small Blog Meet. 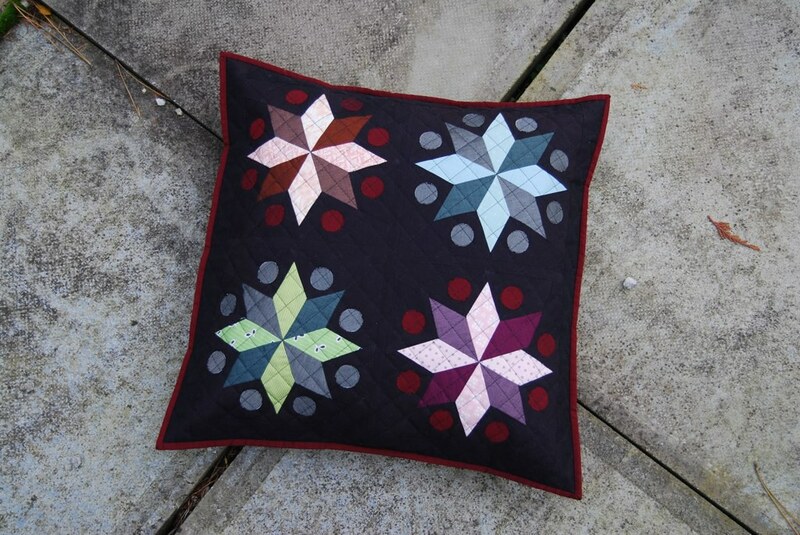 My favourite make of this month was this Christmas pillow made using the Sizzix small circles die, a paper pieced pattern I drew up and Oakshott Liparis. A tutorial for this pillow will follow later on this month. Gorgeous cushion Lynne. I love the design - another fresh, different idea from you. I just shocked myself by making my October makes mosaic. It has been a difficult but productive month here. I love your cushion, and know it's not the only thing you've been working on last month ... me, well I wish I could get sorted and up to do some serious sewing. Fingers crossed it happens this weekend. Your pillow is beautiful! I love the little circles. And those oakshotts . . .
Great pillow! I love the dark colors! Your pillow is really unique and so beautiful! Can't wait for the tutorial ladycakes! Cannot wait for the tutorial!! Your pillow cover is gorgeous - love those Shot Cottons! Awesome pillow! But then all your stuff is awesome! Love your cushion. Loved it when I first saw it. Wish getting these fabrics in the US wasn't so steep on the postage (we can't get it anywhere but from Oakshot, right?). Looking forward to the tutorial! Thanks for hosting the Small Blog Meet, Lily. 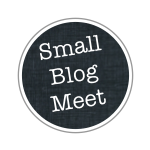 It helps those of us who are new bloggers meet, get a start, and support each other.